How to divide a 2-digit number by a 1-digit number? 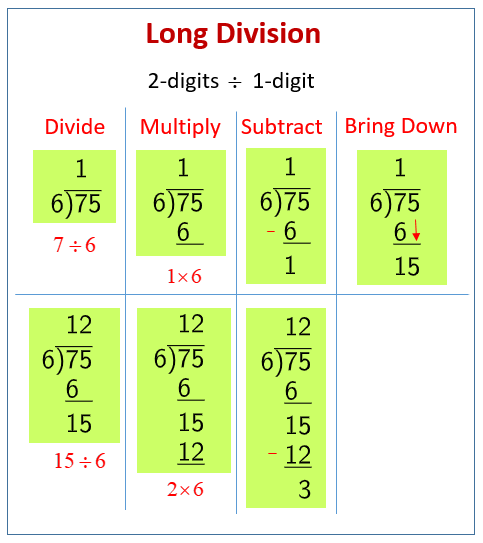 The following diagram shows the steps for long division. Scroll down the page for more examples and solutions. Do division by creating a multiplication sentence.